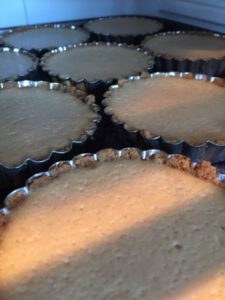 Emily had her last exam today for this university semester, as a way to celebrate we cooked cheesecake tarts! Check out these simple delicious desserts, ideal to celebrate any occasion. I saw this Donna Hay recipe in The Sunday Telegraph Style magazine so I pushed it across to Martha. 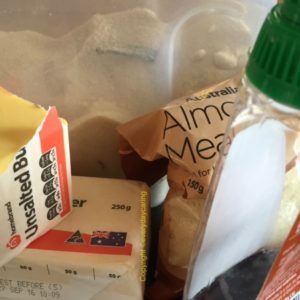 Cooking is our way of connecting with each-other as we shop, cook and natter while preparing delicious, healthy homemade meals and a delicious treat now and then is welcome. Biscuits, almond meal in food processor and chop coarsely. Add butter to combine. Press biscuit mix into lightly greased tart tins. Refrigerate for 30 mins. Place cheeses in a bowl and beat with an electric mixer for 5-6 mins or until smooth. Add sugar and beat for 3-4 mins or until dissolved. Gradually add eggs, beating well after each addition. Add vanilla and syrup, beat well. Divide mixture between tart bases. Place on baking tray and cook for 15-20 minutes or until firm to touch. Refrigerate for 2 hours or until chilled. Dust with cinnamon. These little treats were easy to make. We left them in the fridge while we collected Emily for a post exam tipple! Celebrating occasions makes such a difference to a seemingly ordinary day. I hope Emily’s last exam treat is enjoyed as much as we delighted in making them. I’m looking forward to the next step in Emily’s journey of discovery. What will Emily do next…? 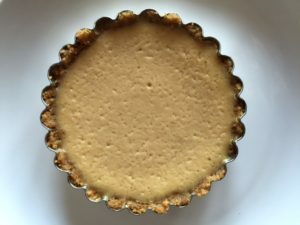 This entry was posted in SCI Diet and tagged Cheesecake Tarts, Emily's Last Exam Treat, Recipes by everydaycarer. Bookmark the permalink.